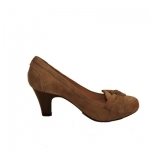 Miezko shoes are feminine shoes of Brazilian-make and it shows. The shoes have a completely unique look. Miezko brings with their design a whole new generation of women's shoes. Clementi offers you Miezko shoes and Miezko boots. Below is the full Miezko collection.